Choose any combination of wall, floor and roof systems to suit your style and fit your budget. Choose a framing style based on your desire for more visible natural wood, or one that allows brighter painted surfaces. 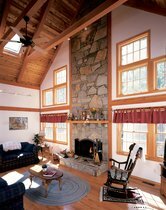 Like the exterior of our homes, the interior of your home can be designed to have a more traditional or contemporary style based on your framing style choices. We will work with you to decide which framing system best fits your taste and budget. 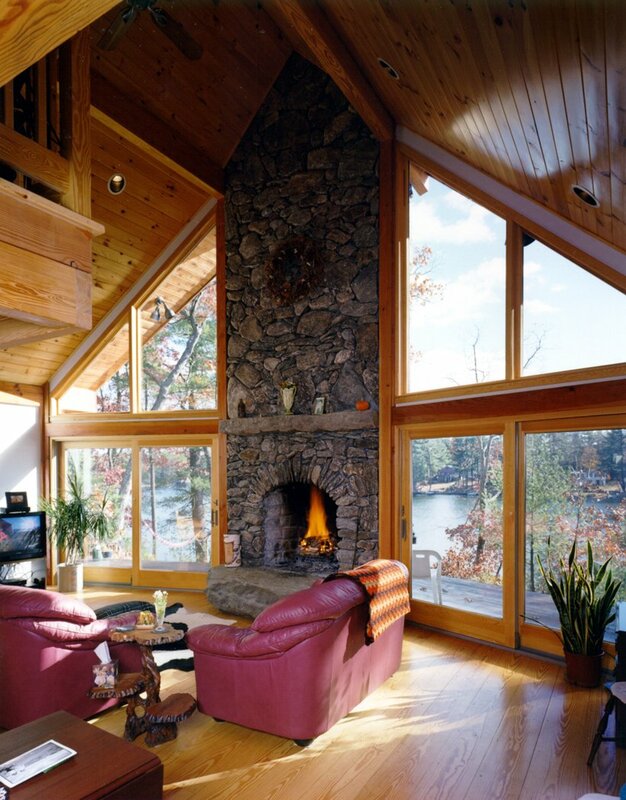 Enhance cathedral ceilings with beautiful cedar or pine decking over Douglas fir rafters. This premium system adds value and energy efficiency. Detail: Exposed ridge beam, collar ties or purlins as required, and 6x8 Douglas fir plate beams. 6x8 Douglas fir rafters and 2x6 kiln-dried tongue and groove Douglas fir, western pine, or western red cedar exposed plank decking with v-joint to the underside. 2” beveled interior finish blocking included for placement above plate beams between rafter bays. 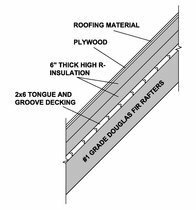 6" rigid urethane insulation (staggered multi-layer) and CDX fir plywood nail base are included over the decking. 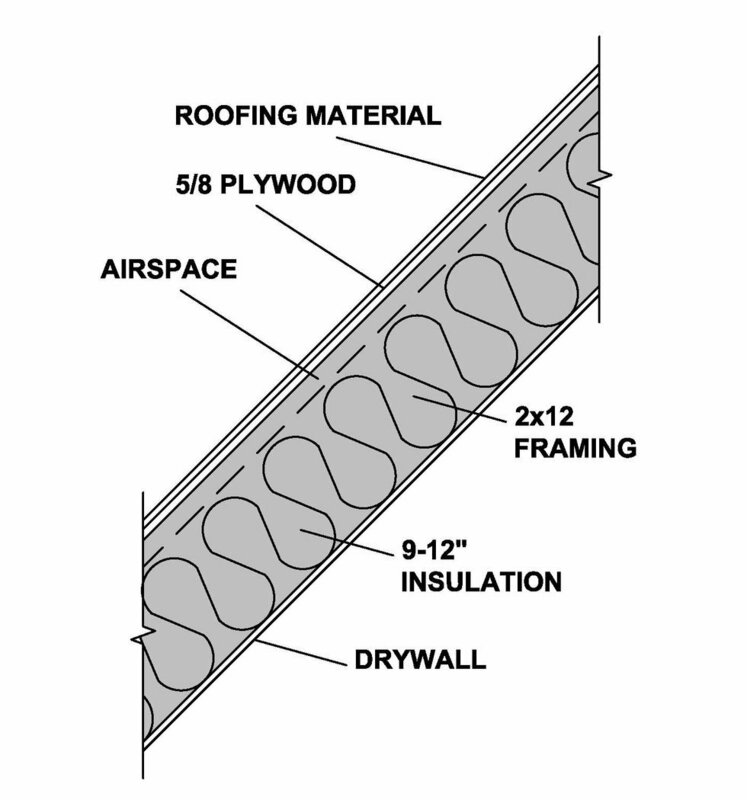 Higher R-Values can be obtained with an additional layer of insulation; R-50 is a common option.. 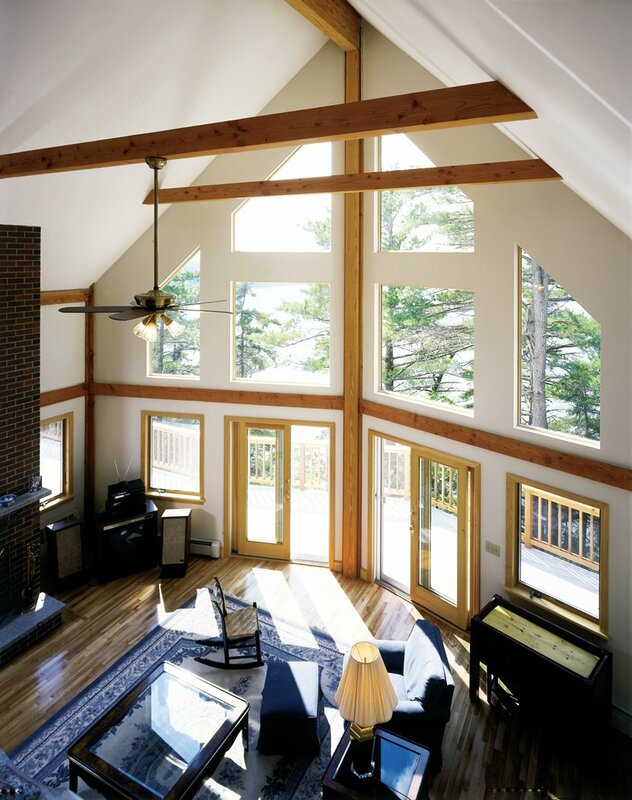 Create an uncluttered all-wood cathedral ceiling more economically than with the Beamed Roof System. Detail: Exposed ridge beam, collar ties or purlins as required, and 6x8 Douglas fir plate beams. Typically 2x12 spruce rafters 2’ O.C. with CDX fir plywood. 1x6 tongue and groove Douglas fir, western pine or western red cedar liner material with v-joint to the underside for interior finish. Fiberglass, spray foam or cellulose insulation owner/contractor supplied and installed. Brighten your rooms with plaster or drywall cathedral ceilings. This is an economical roof system with beautiful exposed support beams. Detail: Exposed ridge beam, collar ties or purlins for cathedral areas as required, and 6x8 Douglas fir plate beams. Typically 2x12 spruce rafters 2’ O.C. and CDX fir plywood. 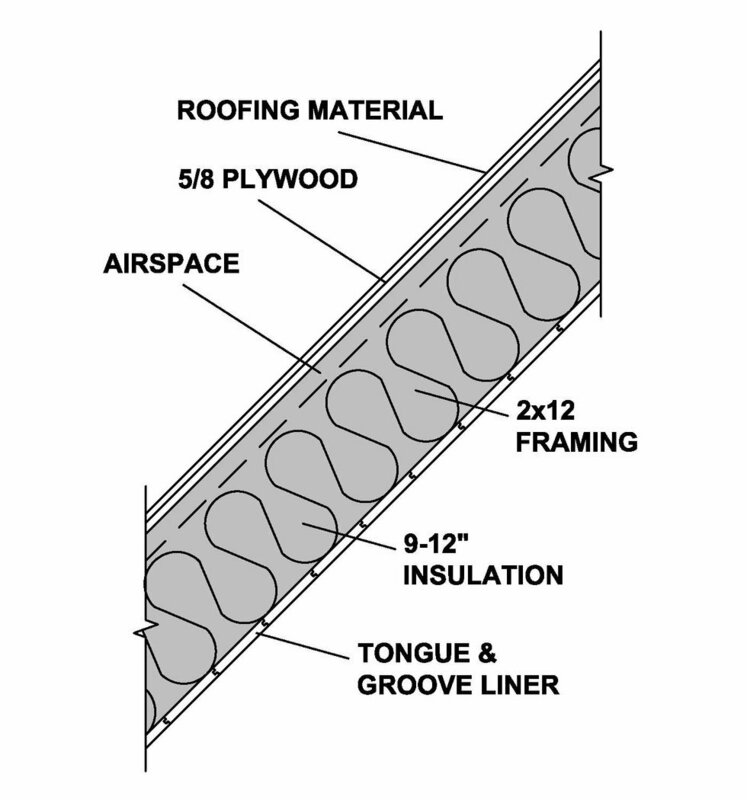 For areas with attic space above (flat ceiling), ceiling joists are included, but the remainder of the ceiling system above is by owner/contractor. Fiberglass, spray foam or cellulose insulation owner/contractor supplied and installed.